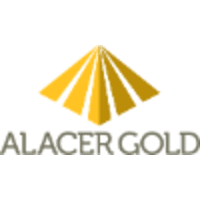 Alacer is a leading low-cost gold producer, with an 80% interest in the world-class Çöpler Gold Mine in Turkey operated by Anagold Madencilik Sanayi ve Ticaret A.S. (“Anagold”), and the remaining 20% owned by Lidya Madencilik Sanayi ve Ticaret A.S. (“Lidya Mining”). The Corporation’s primary focus is to leverage its cornerstone Çöpler Gold Mine and strong balance sheet to maximize portfolio value and free cash flow, minimize project risk, and therefore, create maximum value for shareholders. The Çöpler Gold Mine is located in east-central Turkey in the Erzincan Province, approximately 1,100 kilometers southeast from Istanbul and 550 kilometers east from Ankara, Turkey’s capital city. The Ardich drilling program started in 2017. Diamond drill core is sampled as half core at 1m intervals. The samples were submitted to ALS Global laboratories in Izmir, Turkey for sample preparation and analysis which is of a ISO/IEC 7025:2005 certified and accredited laboratory. Bureau Veritas (Acme) laboratory, Ankara is being used as for umpire check sample analysis. Gold was analyzed by fire assay with an AAS finish, and the multi-element analyses were determined by four acid digestion and ICP-AES and MS finish. For gold assays greater than or equal to 10g/t, fire assay process is repeated with a gravimetric finish for coarse gold. Alacer’s drill and geochemical samples were collected in accordance with accepted industry standards. Alacer conducts routine QA/QC analysis on all assay results, including the systematic utilization of certified reference materials, blanks, field duplicates, and umpire laboratory check assays. External review of data and processes relating to the prospect have been completed by independent Consultant Dr. Erdem Yetkin, P.Geo. in October 2018. There were no adverse material results detected and the QA/QC indicates the information collected is acceptable, and the database can be used for further studies.